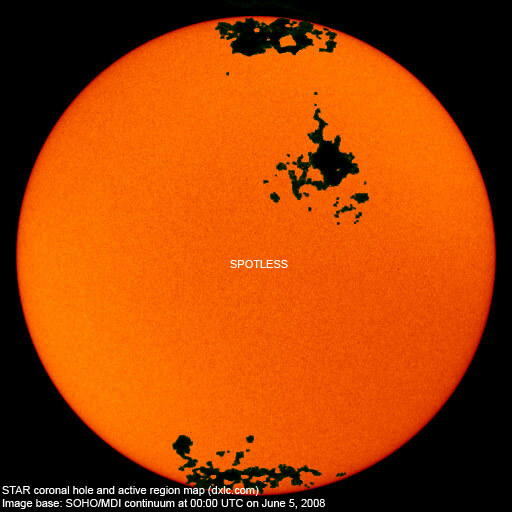 Last major update issued on June 5, 2008 at 04:30 UTC. The geomagnetic field was quiet on June 4. Solar wind speed ranged between 406 and 476 km/s. Solar flux measured at 20h UTC on 2.8 GHz was 65.2. The planetary A index was 4 (STAR Ap - based on the mean of three hour interval ap indices: 3.5). Three hour interval K indices: 21001102 (planetary), 21102301 (Boulder). 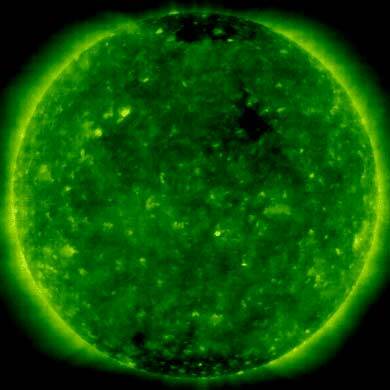 A small coronal hole in the northern hemisphere may have been in an Earth facing position on June 3, however, it is uncertain if the coronal hole was too far to the north to cause any effects on the geomagnetic field. 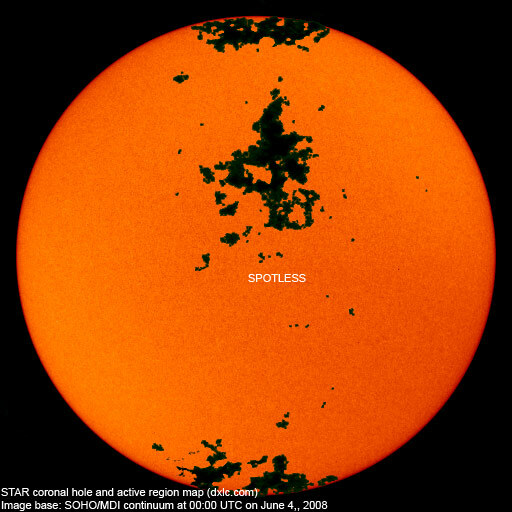 The geomagnetic field is expected to be quiet on June 5-10.